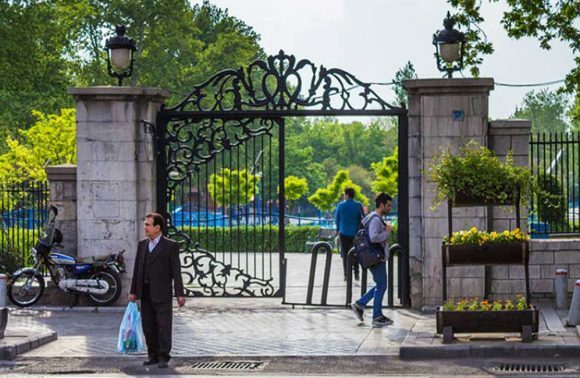 The magnificence of it all, at the Niavaran Complex, began with the order of the Qajari emperors to have a palace of leisure made for them in one of best neighborhoods near Tehran. Of course at that time, Tehran was a tremendously smaller city with the current Niavaran neighborhood having been its suburb! Although Iran had quite a different look and lifestyle to it long ago, this didn’t mean that the royalty didn’t know how to live. In fact the truth of the matter is, it was everybody else in the subsequent years that took a leaf out of their books! 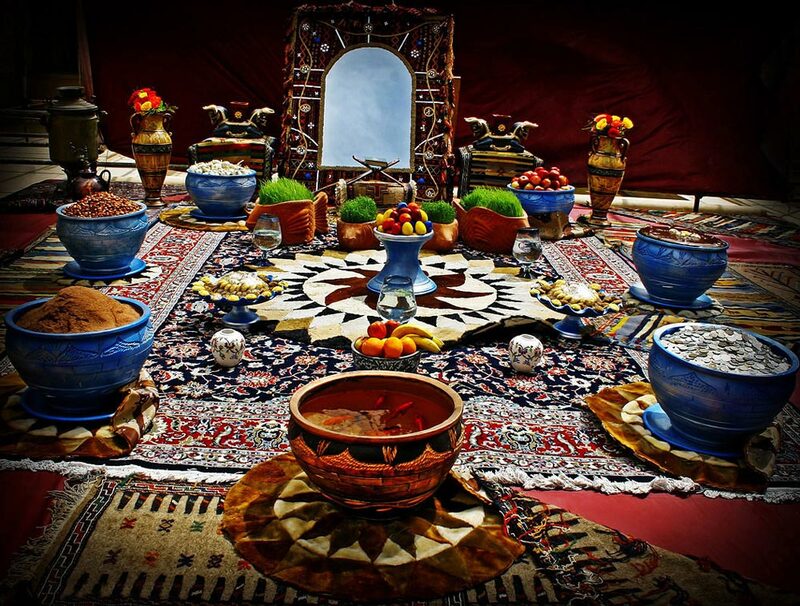 Come along with goingIRAN to visit one of Iran’s top destinations! With its roots set tied with Fath-Ali Shah in the Qajar Era the subsequent additions to the Niavaran Complex were made during the Pahlavi Dynasty. 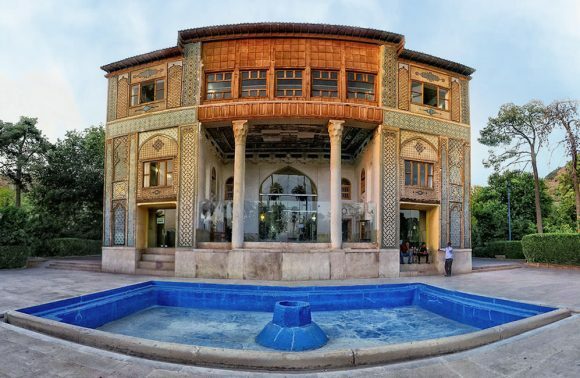 The valuable archive of Persian/Iranian culture and history features a variety of different buildings, historical structures and museums within its confines. 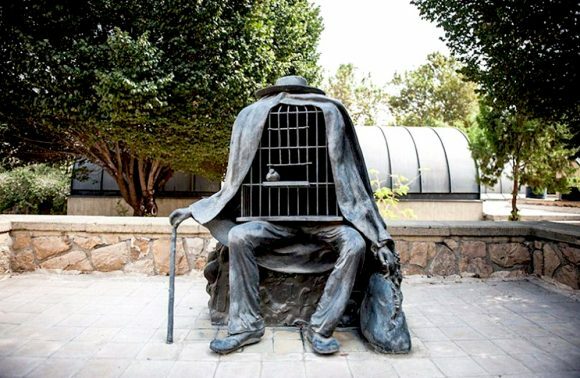 After the Islamic Revolution of 1979, the entire property was seized by the Islamic Revolutionary Guards and handed over to the Cultural Heritage Board of the new regime by 1982. Five years later, in 1987, the entire property was opened to the public and set up as a public cultural and historical site. The Niavaran Complex pans over a massive eleven-hectare area. One of the royal mansions, the Niavaran Mansion, was built by Naser Al-Din Shah and later had its named changed to Saheb Qaranie Mansion. 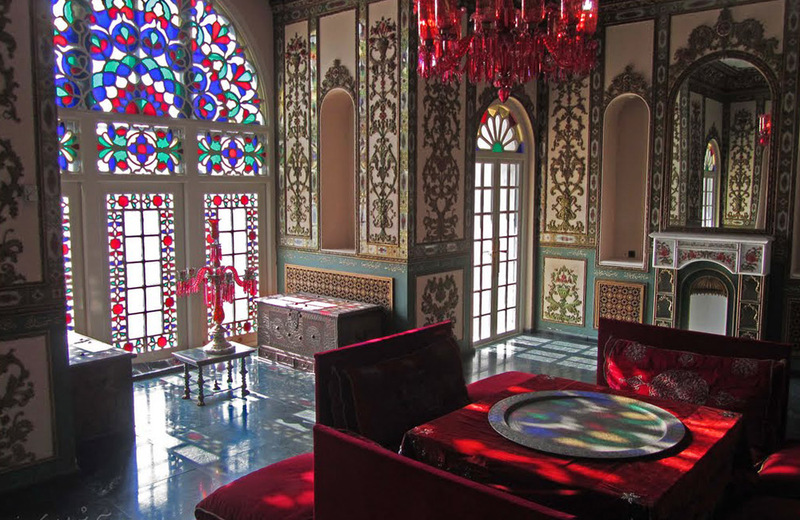 Later during the Qajar period, Ahmad Shah also built a pavilion of his own in the royal Persian Garden. 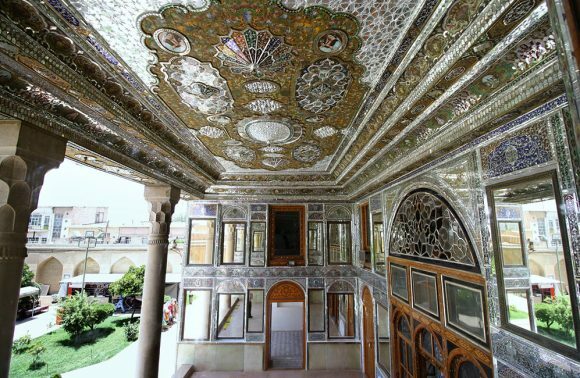 Do to some of the damages sustained by the Qajar Era structure, all but the gorgeous Saheb Qaranie and Ahmad Shah pavilion were destroyed. 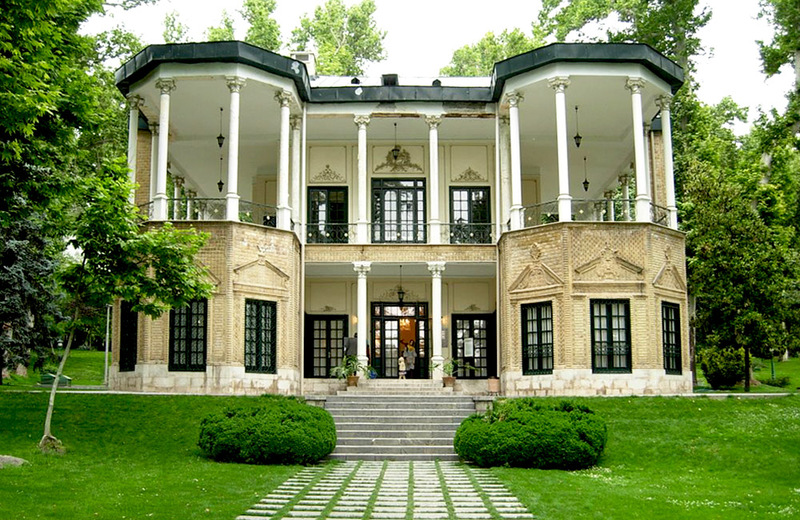 To take their place, some more modern buildings were constructed during Pahlavi period, to the order of the famous Mohamad Reza Shah. 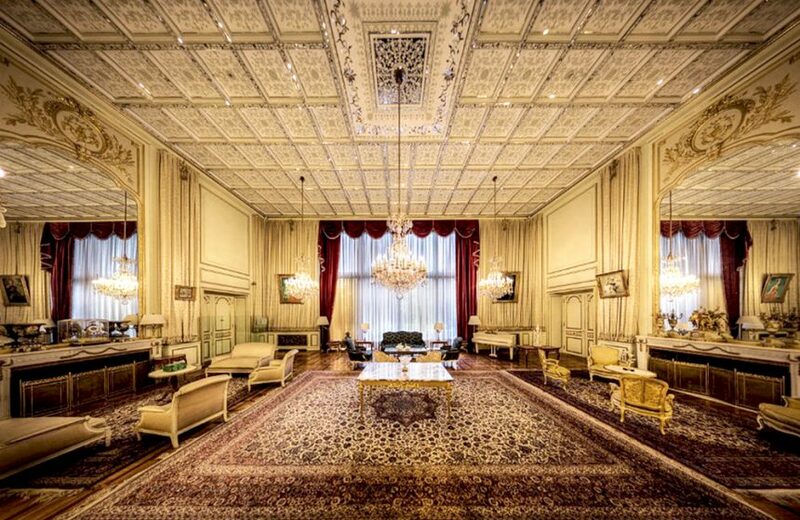 The most noteworthy of Mohamad Reza Shah’s constructions is the (new) Niavaran Palace. 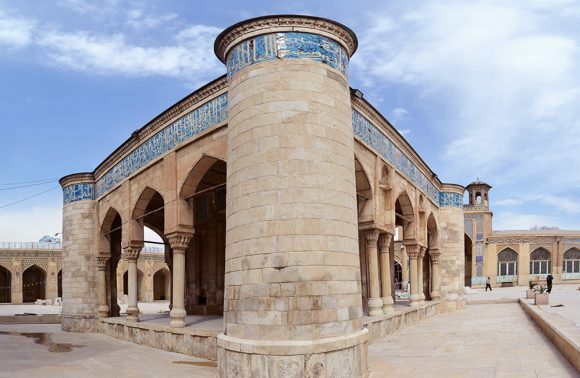 Throughout these immaculately maintained and restored royal abodes, visitors can see some of the finest examples and features of Persian architecture. Different styles can be seen in the designs of the structures, some even having some European influences mixed in with their Persian roots. Walking through the different rooms and spaces, tourists will be witnesses to awe-inspiring woodwork, stained glass, plasterwork, brickwork and, last but not least, a breathtaking mirror hall! 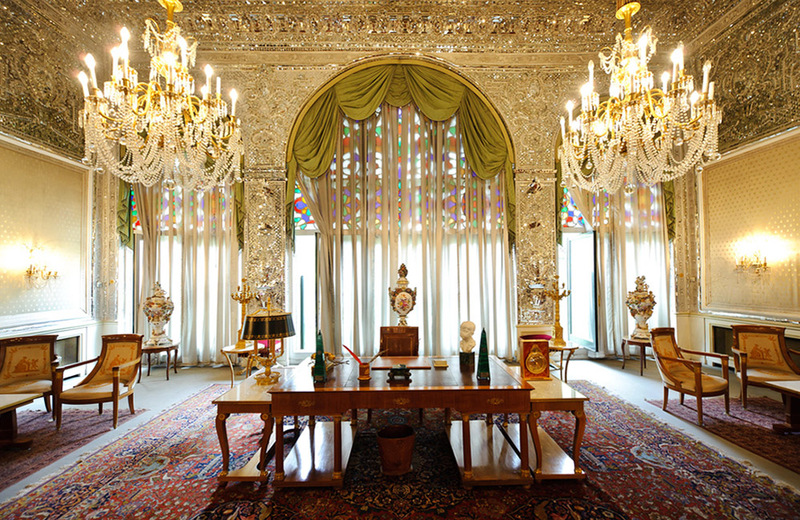 That being said, all three royal palaces in the Niavaran Complex are fully furnished all authentic and many original pieces of furniture. Wandering around the rooms and living spaces of these past royal families really gives visitors a firm grasp of how these people lived their luxurious and overly privileged lives! 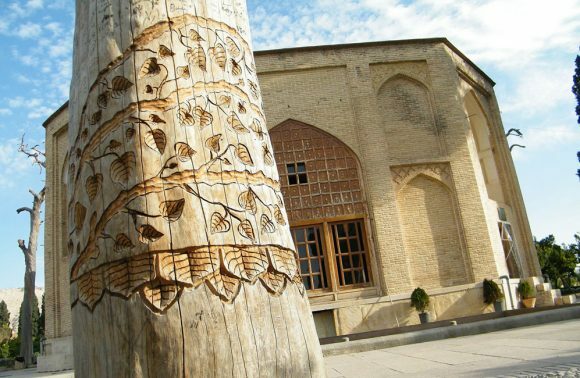 Alongside the three palaces, there are also three museum that add to glory of Niavaran Complex. The Royal Library Museum (Muzeye Ketabkhaneh Saltanati), Jahan Nama Museum and Royal Automobile Museum. The artifacts of all three museums in the Niavaran Complex have been very well kept; the buildings themselves are also very modern and well decorated.